Throughout a week at the Museum, the group will ​publicly ​rehearse and research Oliveros’s music together, as they develop a new interpretation of this historic piece of experimental music. 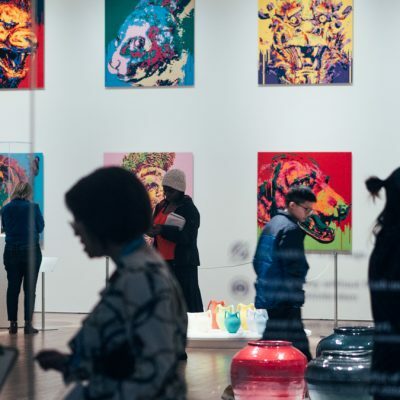 This event will be the first showing in their process as they continue to toward a show at the Music Gallery in 2019. 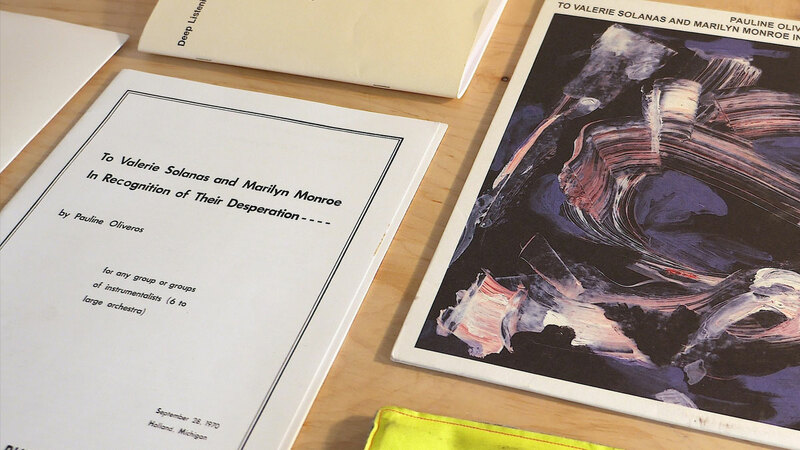 Scored for any instrumentation, Oliveros wrote “To Valerie Solanas and Marilyn Monroe in Recognition of Their Desperation” after reading the radical feminist text “Scum Manifesto” by Valerie Solanas (who is also known for shooting Andy Warhol). The score is composed of three parts, each one communicated through a different colour of light, and instructions ask that each performer select five pitches with which to create very long tones throughout the performance. Insisting on “a continuous circulation of power” between listening and sounding, between the group sound and individual tones, the work considers sound’s capacity to mark the spaces between us, and suggests the possibility that new relations might yet arise through musical situations. This project is supported by Public Recordings, FAM (Feminist Art Museum), The Music Gallery, and the Toronto Arts Council. Special thanks to IONE for her consultations. Permissions from IONE, Trustee, The Pauline Oliveros Trust. 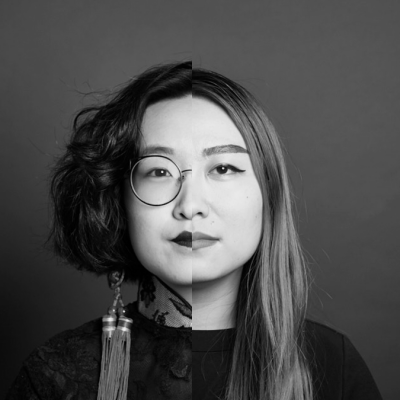 The Feminist Art Museum (FAM) is conceived of by curators Xenia Benivolski and Su-Ying Lee as a national, multi-site pilot project. FAM will use brick as a metaphoric and material reference to create a space for dialogue on institution building, place, space, and land. Amid the installation, the exhibition hall will also host “riot rock rattles” made in a workshop facilitated by artist Tsēma Igharas, and public rehearsals led by artist Christopher Willes of Pauline Oliveros’ “Sonic Meditations” to consider the sonic as a way to take up space.